We grow organic produce at Hawkwood, our 12 acre community market garden and plant nursery, and distribute it to our own market stalls, box scheme and local restaurants. In 2015 we produced over 1.7 tonnes of salad leaves, featuring 97 different varieties of leaf. We believe that more food should be grown organically and locally, and yet we cannot meet the demand, notably for salad. 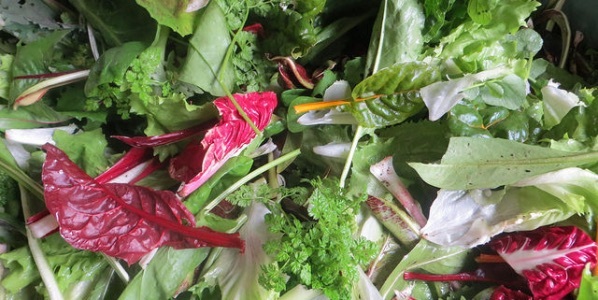 As part of our Farm Start programme of supporting new entrants into organic farming, we are looking for two people to assist with, and learn about commercial salad growing; to progress to managing their own salad rotations at Hawkwood, before graduating to their own site. OrganicLea is committed to supporting them in finding an appropriate site, and providing them with growing, marketing and next-steps support throughout the process, and for the first year of running their own salad growing enterprise. This placement will suit someone looking to develop a food growing enterprise in East London. To apply: Please send a CV or employment (and volunteering) history and covering letter detailing how you meet the person specification and why you want this post to ru@organiclea.org.uk. For more information about this role please call Ru on 020 8524 4994. Time commitment: 1.5 days per week (Tues and Weds) until mid-June; 1 day pw mid June onwards, with optional extra ½ – 1 day. graduating to managing a salad area, and with consultation, making decisions about the planting, maintenance and harvest schedule. Open day last Sunday of the month. Support local food production, get skilled and receive food growing advice, training and project support. Join our box scheme for fresh, local fruit and veg.